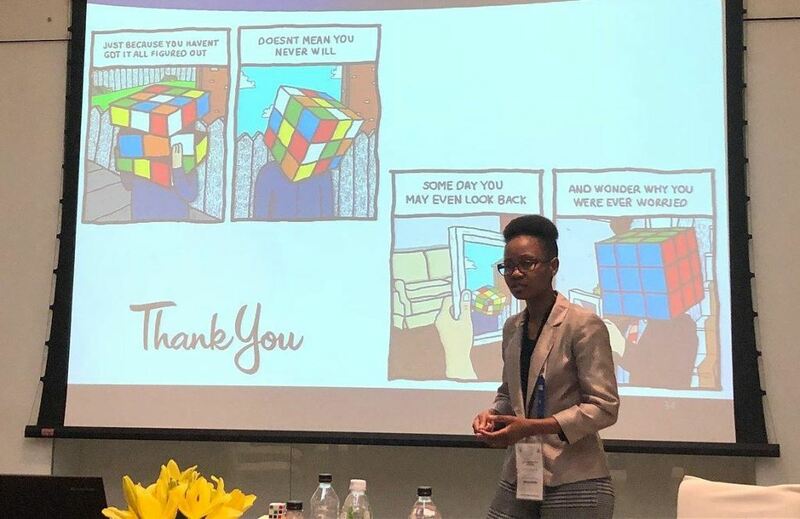 For her 15-minute final-phase presentation, Tjaka Segooa used the Rubik’s Cube as a metaphor for freight forwarding, associating the six sides of the cube with the six main elements of international trade transactions. At a time when there is huge concern about the level of skills in South Africa, this inspirational story highlights the achievements of a young lady who stands as an example of the heights that can be achieved in the logistics arena. With a background in urban design and civil engineering, 27-year-old Tjaka Segooa has gone through a huge learning curve and thrived on the challenges in her new career as a freight forwarder at Bidvest Panalpina Logistics (BPL). It’s a job that requires an in-depth knowledge of transport logistics, excellent communication skills and problem-solving abilities. Transporting goods across the world efficiently and safely can be very complex, and a sound knowledge of shipping law and international customs regulations is imperative. In 2014, BPL entrant Fortunate Mboweni became the first Africa-born African to win the international Young Freight Forwarder Award. This inspired Segooa to put her talents to the test and she entered the competition last year. The competition, run by the International Federation of Freight Forwarders’ Associations (FIATA), is conducted in three stages. The first entails an extensively researched 6 000-word paper outlining an import and export shipment from the entrant’s native country. Segooa’s submission dealt with the delivery of an abnormally sized consignment of aircraft parts to Germany, showcasing South Africa’s technical capabilities; and the importation from France by sea of a container of temperature sensitive carbon composites which involved a short transit, yet explored strategic responses and demonstrated how modern technologies can’t be taken for granted. Segooa’s well presented and written dissertation beat out 16 entries from around the world and put her through to the regional second phase, representing Africa Middle East. 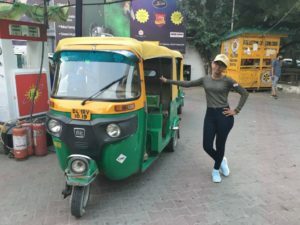 Further success meant she went to the FIATA World Congress in New Delhi as one of four regional finalists, up against entrants from the Americas, Europe and the Pacific regions. For her 15-minute final-phase presentation, Segooa used the Rubik’s Cube as a metaphor for freight forwarding, associating the six sides of the cube with the six main elements of international trade transactions. The UK’s Louis Perrin claimed the top honours for 2018. For Segooa, her personal first prize was the fantastic experience and exposure to many international delegates who shared insightful know how about their ever-evolving industry. C’mon all you youngsters out there. Reach for the stars as has Tjaka Segooa. Huge congratulations to you Tjaka.